It was not that long ago when the world consisted of much smaller societies where people could easily trade within their community. This barter system allowed a farmer to exchange his corn with another farmer for eggs and he in turn could exchange his eggs for beans or coffee. As the global trade expanded and the distances began increasing the need to form institutions or middlemen began to take shape. It would after all, be very inefficient for a tea farmer in China to exchange his tea with a miner producing diamonds in Africa. Hence, traders and middlemen of these traditional institutions provided a necessary but, not necessarily efficient, service. Transparency was lacking and the final buyer had no idea of the price that, the original seller was willing to sell a product for. Middlemen kept adding their own profit margins, a chain of middlemen implied a hefty addition to the final price tag. Today digital platforms and markets exist to facilitate and exchange value and support a huge infrastructure. They have the potential to provide for a free-flow of products and services. We take these institutions for granted. You tap on an app on your phone and an Uber driver is outside the restaurant waiting to drive you home or you buy a necklace on Amazon and it shows up at your door two days later. But is there an even better way to conduct trade? Many people have heard of the word blockchain but most people have no idea what it is. What blockchain technology allows us to do is trade one to one but on a massive scale. This means that sellers wanting to trade goods and services could do so directly with the buyer and that, the size and capacity of each transaction could be limitless. People could interface by using an app on their tablet or smartphone or their computer. The need for a middleman diminishes, technology works tirelessly and transparency can be assured where desirable. A blockchain is formed of an array of nodes, each node is a smart database and all nodes communicate with each other. Transactions stored in the blockchain are encrypted, each transaction is updated on every node. All nodes carry the same pockets of information, this adds reliability and security to the data being stored. The benefit to trade in this blockchain technology is reducing the dependency of middlemen, reducing costs and increasing efficiency and the time it takes to do a transaction. Blockchains were once relied on to set up payment systems. 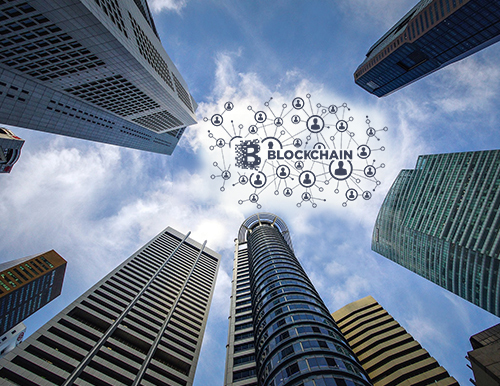 Technology and the ability of skilled blockchain experts has now, widened the scope of blockchain applications. We now live in a world where, physical assets can be traded on a blockchain. For the diamond industry, GLITZKOIN believes there is a better way to conduct trade using blockchain technology. GLITZKOIN is building a diamond based trading platform based on blockchain technology to help modernize the diamond industry. The objective is make it more secure, transparent and allow direct access to diamonds between sellers and buyers. GLITZKOIN is led by a professional team that brings decades of diamond industry experience and some of the finest talent in blockchain technology. The project also includes a crypto currency that, would be used to make payments for diamonds and other services transacted on the blockchain.